A nurse from children’s cancer charity CLIC Sargent. A child’s cancer treatment can require specialist care not available locally, obliging families to travel. Getting families closer to home during their child’s treatment is an important guiding principle for services. At the same time, having to move away from the specialist and knowledgeable support provided by a major cancer centre can be difficult and stressful for families. Every year in the UK around 4,000 children and young people under 25 are diagnosed with cancer. Every parent wants to feel that their child is being cared for in the safest possible environment. So if local nurses lack expertise in a particular condition, treatment or equipment being used by the child it can shake the confidence of parents about moving away from a large regional hospital. Children’s cancer charity CLIC Sargent has launched an outreach education service to support this transition by providing extra training to generalist children’s nurses and other staff working in local hospitals and community services. 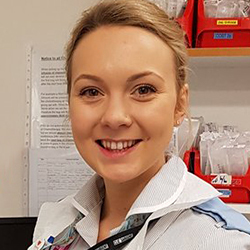 A new team of nurses will offer bespoke training to help local staff meet the specific needs of children undergoing cancer treatment. She said there was an opportunity for the charity to build up skills in training sessions and through shared care. 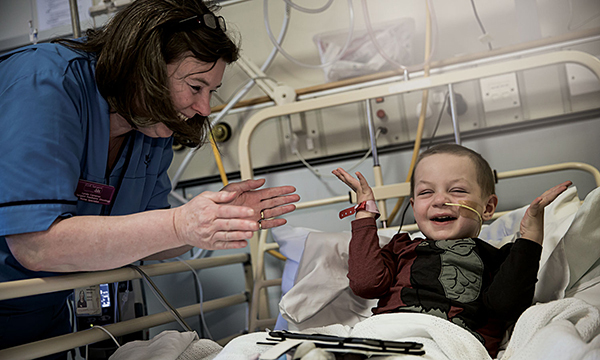 Cancer care for children is offered under a hub and spoke model, with families moving from a regional cancer centre, referred to as the principal treatment centre, to a shared care unit at a hospital closer to home when possible. With some children needing treatment for years – such as three years for leukaemia – getting closer to home can help them go back to school, provide a sense of normality, keep families together and cut costs for parents, who would often have to travel for hours to reach a large centre. This approach was advocated in guidance issued by the National Institute for Health and Care Excellence (NICE) in August 2005, which called for children’s cancer care to be as ‘close to home as possible’. Talking to nurses and families, it becomes apparent that sometimes there is a gap in the knowledge and skills of local nurses for the very specific care that some children require. CLIC Sargent outreach nurse educators, who are funded by a partnership with the supermarket Morrisons, will contact staff at shared care units to find out what support and training would be useful. They can then provide tailored education sessions in a place and at a time that works for the staff. They can also provide training for community children’s nurses who support child cancer patients at home. There will be five nurses in England and Wales – three are already in place – and a further post is planned for Scotland. The education sessions could include a refresher for skills not recently used, such as accessing a portocath, an update on the latest protocols on care for a particular type of cancer, or the impact and side effects of chemotherapy. One nurse educator takes a medical torso dummy to a hospital treatment room so staff can drop by when they are free to polish clinical skills. It may also involve education on more unusual cancers, if a local hospital or community service gets a new patient needing such treatment. Leukaemia accounts for one in three childhood cancers, followed by brain and spinal cord cancers, which make up a quarter of cases, but rarer types could be seen by local centres and community staff much less frequently. Children and young people with cancer travel an average of 60 miles, up to five times a week, for hospital treatment. ‘If parents are discussing symptoms with a community nurse or saying something like the child is neutropenic, and the nurse doesn’t have that background in paediatric oncology, the nurse may have to refer them back to hospital to be checked as they are unsure. Some bespoke training could help with that,’ Ms Hawkins says. Not all education sessions will have to be face-to-face, with plans to make education available online and through online video calls such as Skype. CLIC Sargent outreach nurse educator Hannah Dear says families tell the charity there are many benefits to being closer to home. Ms Dear has covered the Bristol and Southampton principal treatment centres and their associated shared care centres since she took up her post in January. The two main hospitals can be a long way from the family home, with some children facing an eight-hour drive from their home in Cornwall to reach the nearest specialist centre at Bristol. education to what nurses need. ‘We know that parents feel very secure in the treatment centre where everyone is an expert and dedicated to paediatric oncology,’ Ms Dear says. Ms Dear, who works clinically one day a week at Bristol Haematology and Oncology Centre to maintain her skills, says: ‘Using a closer hospital allows children and parents to get back to family life, the children can go back to school, families are back with their support networks of family and friends, and it reduces the financial burden of travel. A CLIC Sargent research report called A Long Way from Home found that children and young people with cancer travel an average of 60 miles up to five times a week for hospital treatment. Separately, two out of three parents told the charity they had built up debt to make ends meet as a result of their child’s cancer. 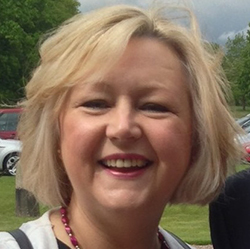 ‘We can really tailor education to what nurses need locally,’ Ms Dear says.